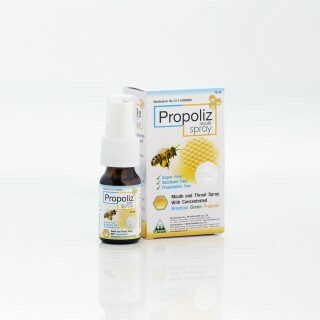 Propoliz Mouth Spray helps sore throat, inflame, infective, mouth ulcer, canker sore, Aphthous stomatitis, Aphthous ulcer, cold sore, Gingivitis, gum disease, chronic necrotising ulcerative, voice strengthen, and clear voice. 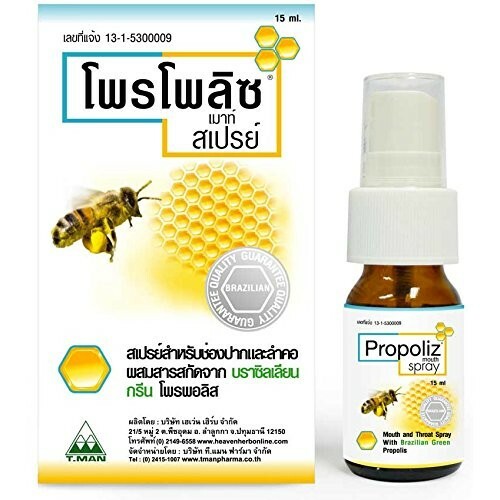 Propoliz Mouth Spray is made of various Herb as Propolis extract, Honey, Menthol, Peppermint oil, Spearmint oil. Iyara Ma Weang cough syrup is made of various Herb as Solanum trilobatum Linn. (Ma-weang). 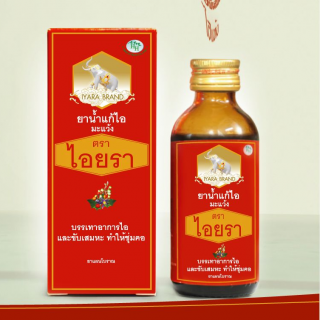 Iyara Ma Weang cough syrup help relieve cough, irritated throat, itchy throat, phlegm, sputum, soothe the throat .